Soldiers wearing goggles and parachute backpacks strapped themselves on the top of biplane wings and jumped when given the order, thin lines fluttering in the air as a white ball of silk slowly unfolded into a lifesaving canopy. 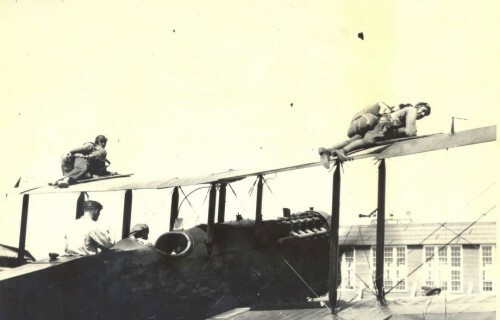 Daring and inventive, the exercise at Brooks Field in April 1929 went awry to some degree, with soldiers drifting over power lines and descending into mesquite trees, leaving the Army’s chief of staff, Maj. Gen. Charles Summervall, unimpressed. Read the full article at the Express-News website.